How do I share a company file in Cashbook Plus! Data Hosting? Make sure you have activated your Data Hosting account .Click on the following link: Data Hosting - Activate Account. Make sure the user is a currently supported Cashbook Plus! client. 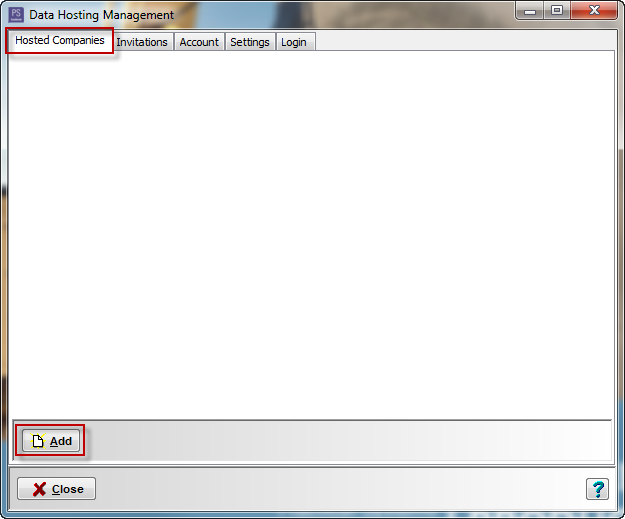 Click on Setup > Data Hosting menu option. Click on the Hosted Companies tab. 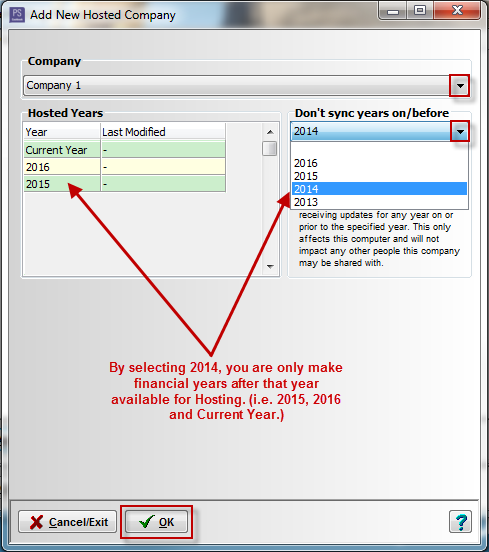 You can select specific accounting year/s to share by clicking on the drop down arrow in the Don't sync year/before box. e.g. 2014. Click OK to upload data. An Uploading data... window will appear. 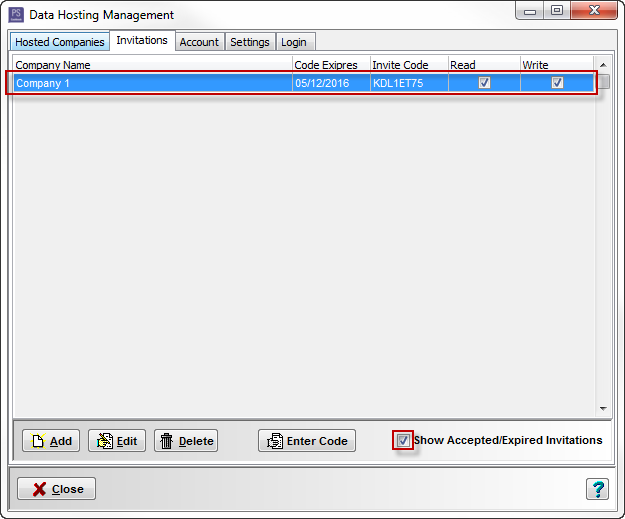 The company will now appear in your Hosted Companies list. Ticked if you are the owner of this hosted company. Unticked if it has been shared with you. The person you share your selected hosted company with, does not have to be registered for Cashbook Plus! Data Hosting but they must be a current Practical Systems client. Still in Setup > Data Hosting menu option. Click on the Invitations tab. 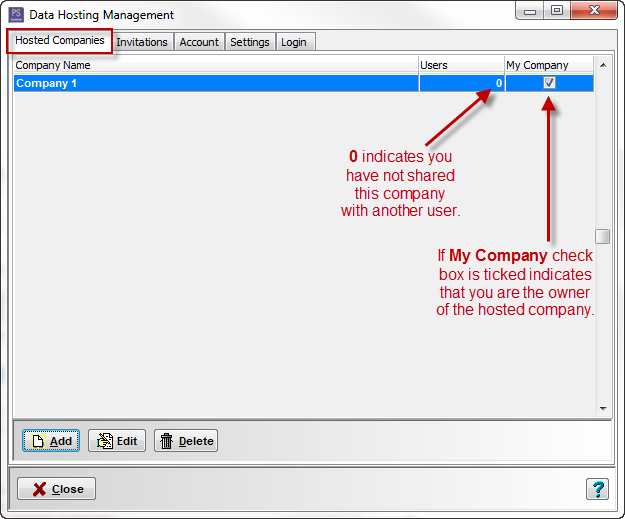 Select company you wish to share/host from the drop down menu. 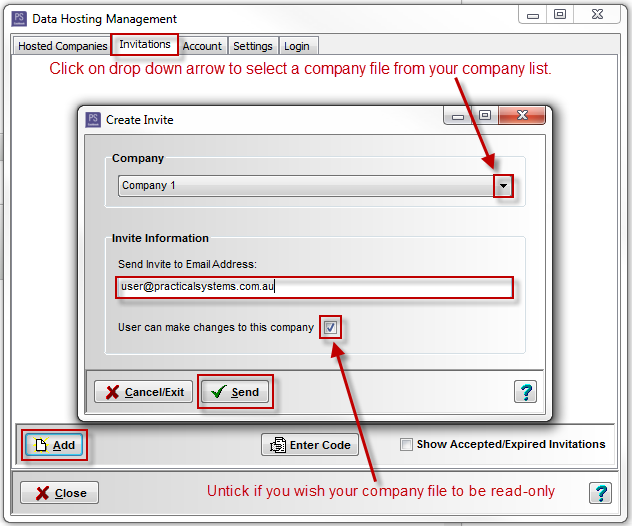 Enter email address of the user you wish to invite to share your hosted company file with. Tick User can make changes to this company - this enables the user you are inviting, permission to edit/make changes to your company file. Don't tick User can make changes to this company - this enables the user you are inviting, permission to see the lastest versions of your company file without having the ability to edit them.